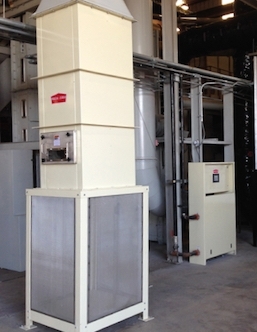 Delta Class Heaters build on 1400 Series Technology with over a decade in the field. The technology behind them has developed a following among ginners, managers and even electricians. Ginners immediately enjoy the reliable lighting and fast temperature response when they need it most. Managers are all smiles when they get their first fuel bill and see the savings available with automatic heater control. These heaters are even recommended by electricians for their ease of installation and easy to use diagnostics. One of the most well known features is Simple Shed Technology. "Shed" turns heaters completely off in dry conditions and lights them back automatically in seconds when a wet spot hits the high-speed incoming sensor. Many gins have reported fuel savings of 50% using Simple Shed. How fast would that make your ROI on heater upgrades? If you're looking for a heater with combustion efficiency, great turn-down, reliable operation, and extensive diagnostics, the Delta Class Heaters are a great choice. Not sure which size is right for your application? Give us a call and we'd be glad to help you out. WHAT ARE GINNERS SAYING ABOUT SAM JACKSON HEATERS?